Life in 24 Frames - March (To The World, In Reverse). Background - It's not easy to understand Life in 24 Frames, but it's hard not to get trapped while trying. Stylistically speaking they appear to be all over the map. The band sounds like a comfortable blend of Pink Floyd's "The Wall", and the Beach Boys "Smile" records while effortlessly sprinkling in influences from modern indie rock contemporaries such as My Morning Jacket and Local Natives. Singer Kris Adams architects deep and thoughtful vocal arrangements on top of beautifully crafted hooky, yet complex and spacey musical arrangements. The band is mature, and the sound is as diverse as the audiences who have already embraced the group as an independent artist. Life in 24 Frames are comfortable in their own skin. Awkward and different, the group formed in Sacramento, California with one mission - to share the honesty and purity of their musical creations to as many people as possible. Since inception, the band has fulfilled on their initial mission while opening for acts like Band of Horses, Dredg, Geographer, Royal Blood and Cage the Elephant. Also as an artist on Sacramento's 2013 Launch Festival with Imagine Dragons and Minus the Bear. This group offers a way for listeners to divert from their reality. The opportunity to paint your picture on top of a musical background; personal brushstrokes on a shared canvas. Listening to Life in 24 Frames gives you the chance to write your own story while sharing in theirs. Their records are meant to be experienced as albums, the songs have meaningful depth which reveal new life upon each listen. With a new record being released on Gold Standard Records on March 3rd 2017, Life in 24 Frames is positioned to take the next step in their journey. Facebook here. With January (My Condition) and February (Syndicated) already shared through Youtube, I have to say all twelve songs in this collection have a very fine level of quality. 'March (To The World, In Reverse)' is now featured and perhaps a listen to this song alone, may well be enough to have listeners looking forward to the March record release. The Big East - The Wild Life. Background - If the Steve Miller Band met the Flaming Lips and jammed down at the dock by the cottage, odds are it would sound a little like The Big East, who fly under the self-coined banner of ‘cottage rock’, combining elements of mellow gold, timeless rock and indie pop. They hail from the Lake and Cottage area of North Toronto where the winters are bitter cold but the summer months give birth to a thriving local music scene. 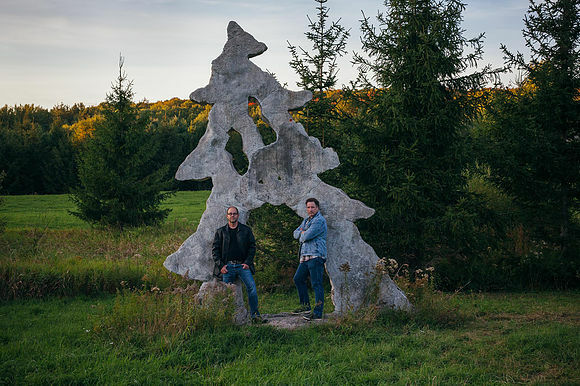 Their name is derived from the river that flows through the region where principal members James Jones and Kip Daynard live and their connection to their roots doesn’t end there. 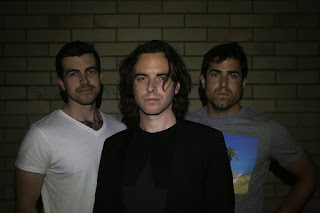 Their local community was integral in shaping the sound of their sophomore LP, Hungry Ghosts, which features the many talents of their peers including veteran Canadian producer Andre Wahl. Hungry Ghosts is a play on the Buddhist saying which refers to human beings who are driven by emotional needs in an animalistic way. “We applied this concept to our intense need to create music” Jones asserts. And create music they did. Producer Wahl helped the band whittle their 40 demos down to the eleven featured tracks which play to the band’s strengths - rich harmony over tight playing, complete with soaring soft rock hooks. Facebook here, website here. The second of eleven tracks on the Hungry Ghosts album 'The Wild Life' is a good indicator of the overall style and direction The Big East take. The indie pop and timeless rock description sums up their music extremely well, with melodic hooks everywhere alongside a natural and genuine sound. As a whole, this is a fabulous album that may well appeal to older and younger listeners a like, and across a good range of genres. Scotch Hollow - Hocus Pocus. 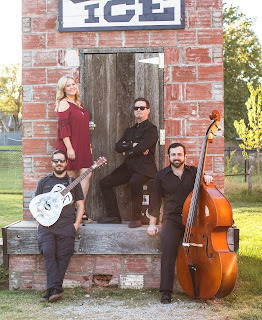 Background - Scotch Hollow, an acoustic roots band, teams up down-home delta blues with good old-fashioned country twang and silky vocals. Just as the name implies, Scotch Hollow is as smooth as your favorite whiskey. 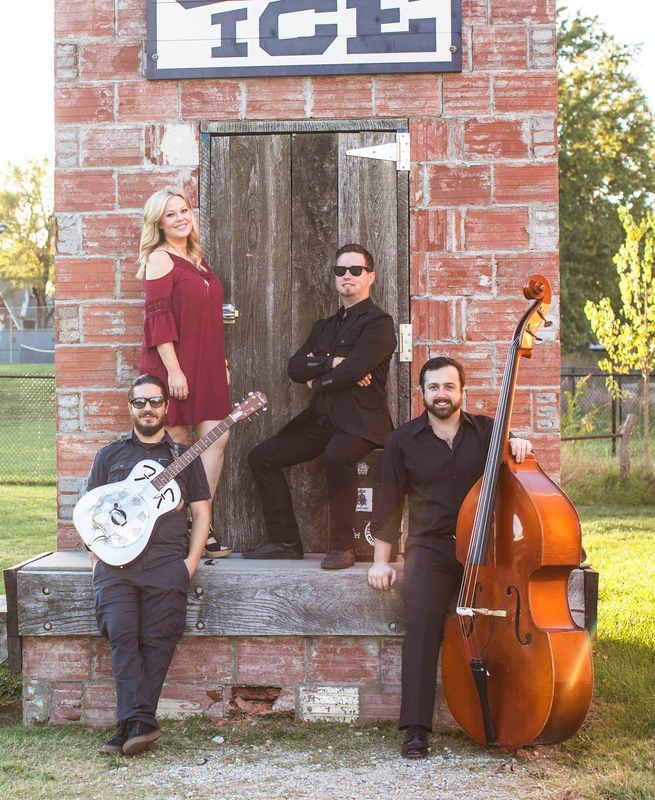 Scotch Hollow is a roots band that mixes a generous helping of country twang with just enough blues to stir the pot. The group was founded by Mark Verbeck (guitar, songwriter) and vocalist Carly Martin, who met at the Berklee School of Music. Based in Kansas City, MO (after kicking around the Chicago scene for a time), the group now includes JD Linn (bass), Benjamin Scholz (drums, percussion), Brady Buster (harmonica) and Joel Schuman (piano). Verbeck wrote all but three songs and those were written by Little Walter, Howlin’ Wolf and Blind Willie Johnson. The performances are as solid and spare as one would expect for this style of music. They certainly can raise a little sand in the down-home way. Website here, Facebook here. The opening track on Little Tortuga is 'Hocus Pocus' a vibrant country rocker with a generous helping of blues feeling adding to the vibe. Scotch Hollow deliver roots music with quality, energy and commitment. The band have an overall sound based on some refined musicianship and passionate vocals, that keeps pretty close to country and blues across the album. Background - Multi-faceted Brisbane artist, Monet, returns dropping his second single titled “Nobody’s Wrong” – a simple ballad that encapsulates raw emotion and a perfect showcase of Monet’s vocal ability. Having first been introduced to audiences with his debut single release titled ‘You’ in May 2016, Monet has been busy readying a series of new single releases due to drop this year, the first being “Nobody’s Wrong”. 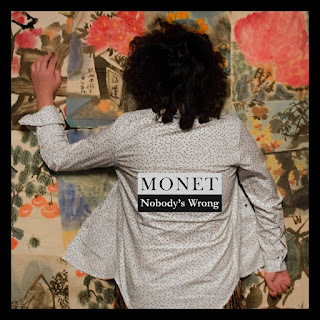 “Nobody’s Wrong” is a track best described by Monet himself: "There are usually 4 types of relationships: co-dependent, counter dependent, independent, and interdependent. We all enjoy the feeling of first falling in love with someone and we wish to stay close forever, however, as relationships develop, we often need space and distance every now and again for our own health, and sometimes we try to escape for a little. We make up lies and excuses to each other to avoid conversations, or we make rules trying to control one another. Sadly, quite a few lovers don’t survive this period, usually the co-dependent and counter dependent. Many relationships die before they could tie the knot. This song is inspired by this situation that most of us have had before, that “bittersweet” time, sometimes we get hurt, and those memories, good or bad, haunt us forever. If we could believe in each other, believe in love; be more honest and brave to each other, we could be happy together. This song is written for those who have had a broken heart, and also for those who are going through the “We don't talk any more, but we still care about each other” phase." The Brisbane artist, originally hailing from the Chinese town of Wujin which has a rich history that often influences his music, has a fierce and loyal Facebook following of over 14,000. His history in music is short but his passion has been there since the age of five having been introduced to music by performing in his local theatre. Facebook here. Gentle and melodic, 'Nobody's Wrong' gradually builds with power into an almost symphonic piece, whilst the intimate and personal sounding vocals interact in a delightful manner throughout. My first taste of Monet, and it's enough to have me digging deeper into his music. Background - Hawkmoon is the collective musical identity of Pat Hehir, Liam Hehir and Reuben Aptroot. Their soon to be released debut album The Saturn Return, was produced to fill a void in the current musical landscape, where distorted guitars, eclectic songwriters and ‘Rock’ have gone underground. After numerous live gigs, festival appearances and EP releases with earlier incarnations of Hawkmoon and Reuben's Ultrafeedy, the three would be brought together in 2013 under the Hawkmoon banner to create music that was thoughtful, challenging, bold and fresh. The first single from the album is ‘Silverline' which was recorded in Reuben’s home studio and produced by the band. ‘Silverline' is one of the older songs on the album and has been a staple of Hawkmoon’s live sets for many years. In essence, ‘Silverline' is a garage rock song. It is quick and energetic with the emphasis placed on capturing the sound of a live band rather than the precision of a studio piece. Whilst the song is raw, it could also be called pop rock with its guitar hook-littered verses and sing along chorus. Over 2 years in Reuben’s bedroom recording studio, DIY production techniques have allowed the band to fully explore their own sonic palettes, songwriting methods and ultimately capture a group of songs they are extremely proud of. From relentless, energetic rock to atmospheric ballads, hook-driven pop to experimental soundscapes. Look for the release of The Saturn Return later this year. Facebook here. Time to clear the cobwebs and shake up Beehive Candy courtesy of Hawkmoon and the new song 'Silverline'. Mixing full on guitar rock with enough melody and hooks to make the track stand out, this is one fine rocker.